Need a super-quick dinner? Craving pizza? Well, have I got you covered. If you’ve got pita on hand, you’ve got dinner. 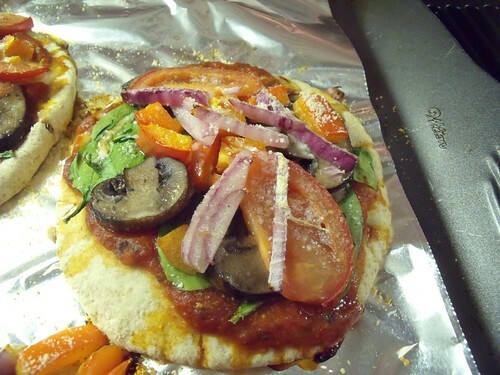 And if you’re going gluten-free, you can use gluten-free pita and still have a super-quick pizza! You will of course need to eat these with Tanya’s Caesar Salad. Yum. Garlicky greens plus pizza. What could be better? The only rules are that you have to put on all your favourite toppings. We use a store-bought tomato sauce on rushed nights, and make our own Roasted Garlicky Tomato Sauce when we’ve got a little more time in the kitchen. Top pitas with sauce, then cheese, then veggies. 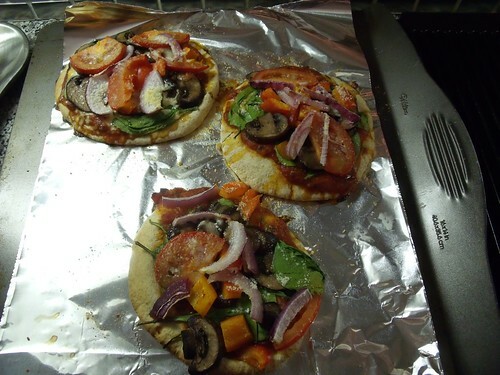 Our most recent combination is spinach, red onions, sauteed mushrooms, tomato sauce, red peppers, and tomatoes. Pop into the oven for 8-12 minutes, until everything is heated through and any cheese has melted. 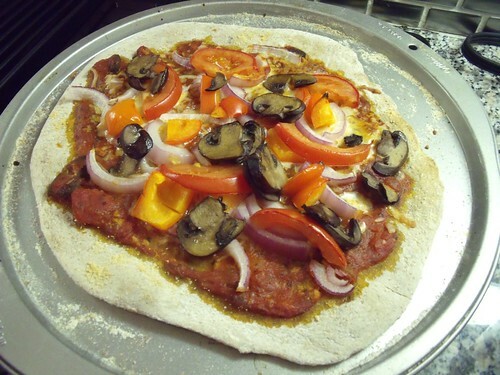 We used my 100% Whole Wheat Pizza Dough, and rolled out a defrosted ball of it that I had frozen earlier. Look at that rolling! 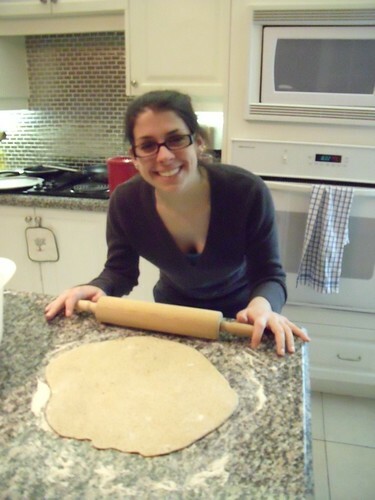 We were so pleased to see how quick (and delicious) it was to use defrosted dough from frozen, that we promptly made up another batch of dough to keep for next time. Perfect! This is one of my all time favourite meals… it’s like my comfort food if I don’t feel like making soup. I make it almost every Thursday (but with daiya). Mmmm Pizza, nothing beats a good pizza, I could definitely go for one right now, I’m starving!! 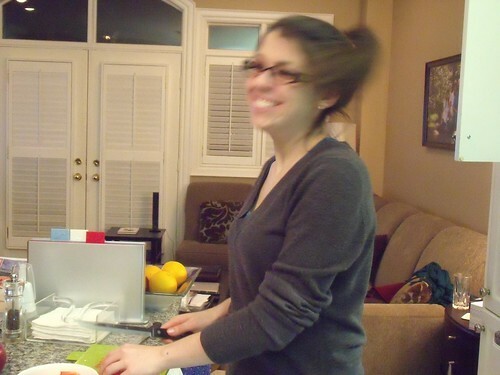 Hi Lindsay, I’ve given you a Stylish Blogger Award, it’s at my blog if you want to pick it up! Thanks for constant creativity & inspiration!